What does The Reengineers mean to me? A guest post that I did recently. 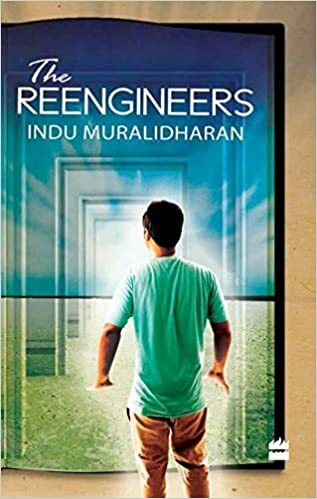 The Reengineers is a story of two people, a character and his author, both of whom rewrite their own stories, changing their destinies and moving from suicidal depression to abundant, productive, creative, happy and successful lives. This story is partly based on my own experience of overcoming depression. I was fifteen when I became clinically depressed. No one realised that anything was wrong with me. I did not know it myself, except that I felt unbearably sad all the time. I went on to complete an engineering degree, even topped the class, and started working in a city that I disliked intensely, a place to where my parents had shifted at that time for its milder climate. I mechanically went about life, unable to express how I felt frozen and numb within all the time. Books were my only solace. A certain book saved my life when I was on the verge of losing it, and other books kept me going, clutching and hanging onto their pages. Depression occurs in people due to different reasons. In my case, it had been triggered by a simple hormonal imbalance and when it was corrected, I was cured. What the hell had happened to me? I wrote the book during that period of awakening from the darkness of depression. Even as I wrote the novel, I cast off every memory of those years, moved back to my hometown Chennai and rewrote my own story. I know that depression cannot touch me anymore. To complete writing The Reengineers, I had to become one first.